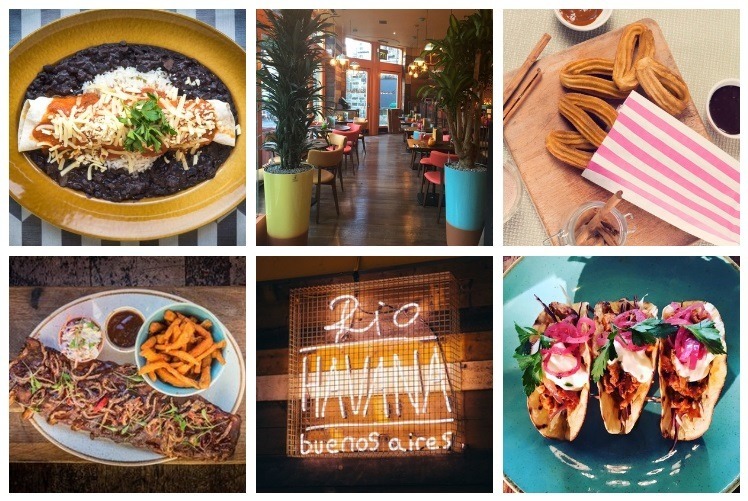 This Latin American restaurant took the place of La Tasca and it was about time too; it’s breathed new life into the street with its colourful, chilled out vibe. The restaurant is split in two, a place for dining and an area for the bar crawlers who want to take up the 241 cocktail offer. The first thing to hit me was how bright and colourful the place was, I felt instantly like I was on holiday… margaritas on me! Take one lime, cut the tips off the top and tail and then cut the lime into eight chunks. Add the lime pieces to a glass tumbler (use a thick, strong glass). ​Add three bar spoons (or teaspoons) of caster sugar over the top of the lime. Using a muddler (which sounds like something you’d get in Harry Potter) crush the sugar and lime together in a push and twist action. When all the lime pieces are completely crushed so that all the juice has been extracted, add a little crushed ice (so that the glass is half filled). Add 50ml of cachaça. 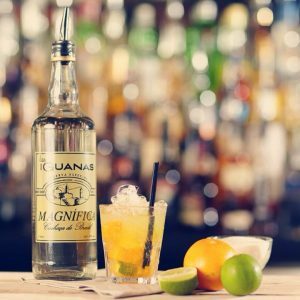 Take a bar spoon and fold the ice, lime, sugar and cachaça into each other, add more crushed ice so that it sits proud above the drink. ​Fancy something a bit fruitier – Add Apricot conserve & liqueur or fresh raspberries & Chambord liqueur for a fresh & fruity twist! My little sis and I decided to share a starter; we had nachos topped with smoked chipotle chicken (£8.90) – I can honestly say they were the best nachos I’ve tasted in Harrogate. The tomato salsa was zingy and full of herbie flavours; proper traditional nachos. ​Next I ordered the Moqueca De Peixe (£13.95), and boy did I choose well. This Brazilian dish contained prawns and cod cooked in a creamy coconut, fresh tomato & lime sauce with spring onion rice. On the side came deep fried sweet plantain, which are like bananas and I’m not sure I liked it. The dish was also accompanied by a pico de gallo salsa & a coconut farofa to sprinkle on top. I cannot recommend this dish highly enough and would order it again, and again, and again. For dessert we had to order the sugar coated sweet goodness that is Churros (£6.95 for six). Our waitress, Edyta said they were the best dessert. She wasn’t wrong. The six Churros arrived in a bag which Edyta shook before shaking them onto the board with two dipping sauces – chocolate ganache and dulce de leche (or caramel to you and me). They were finger licking good. 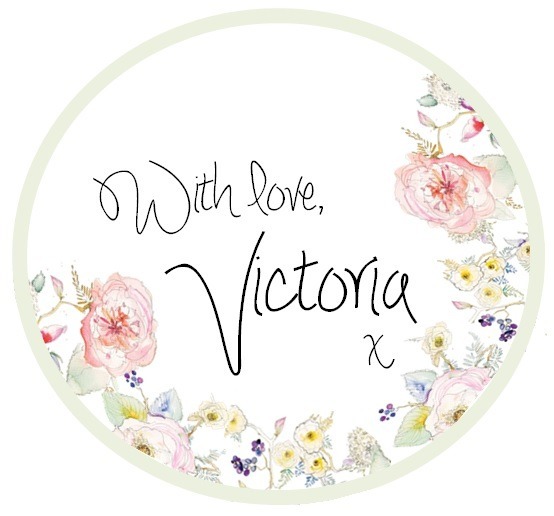 If you visit, let me know by tagging me on Facebook by using @TheHarrogateGirl or Twitter with @THarrogateGirl. Thank you to Tom Joy Photography for letting me use the snaps he took at the opening night. 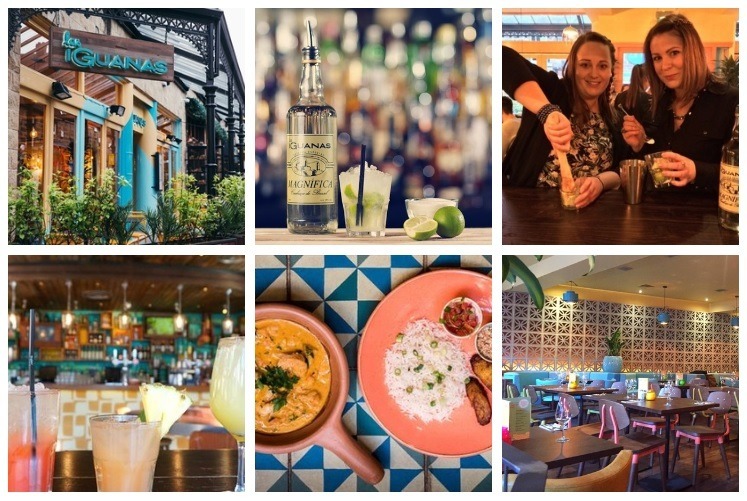 Thank you to Las Iguanas and Kendra PR for inviting me to the opening night.